Learn how to arrange the elements in your flipbook with a few simple clicks. Arranging elements on the page is very easy. 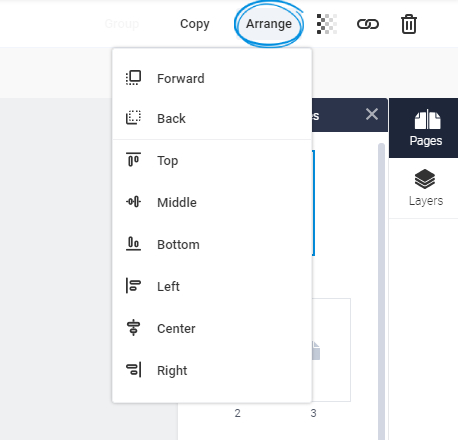 To do it, simply select the element you want to arrange, click the Arrange button in the upper-right corner of the editor, then select the desired option. Right - places the selected element on the right side of the horizontal axis it is placed on. Please let us know what you think via live chat.